If you’re lucky, you haven’t encountered anyone in Apex Legends camping in a particularly hard to spot point in the Bunker area – but if you have been on the receiving end of a player lurking on the terrible vent camping point, you’ll be happy to hear that it no longer exists. Inside pretty much every room in the Bunker section of Apex Legends is a box-like vent positioned above most of the doors. Players soon worked out that they could climb up and stand on top of these boxy vents, which are big enough to hold two players. These players can camp here, then spot and quickly take out anyone who enters the room, and even set traps – Caustic’s gas bombs were particularly good for this. However, the non-terrible human beings playing Apex Legends can now rejoice, as developer Respawn hid an extra fix in the recent huge Season 1 update for the game – the Bunker camping spot’s been nerfed, and these boxed vents are nowhere to be found. Sorry, evil campers. 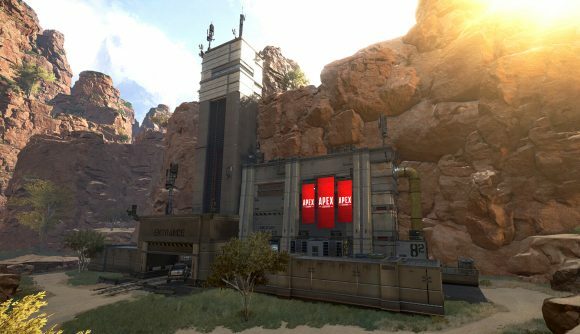 The Bunker is a prime position for camping, as due to its central location on the Apex Legends map it’s a popular drop point. Anyone who gets in there fast, gets a semi-decent weapon or just has Caustic’s toxic traps ready, and then positions themselves above the doors in the Bunker is in a prime position to cause grief. ❌ Los bordes superiores de las puertas en búnker fueron retirados. Well, that’s no longer the case. As spotted by Spanish-speaking Twitter user PlayApexESP (via GamesRadar), the air conditioning units are gone from above the doors, and the Bunker can return to some degree of normalcy – or at least, normal fast-paced non-campy delights. While this was a hidden change in the Season 1 update, there were a lot of more significant fixes for players to focus on. The arrival of new Legend Octane was the biggest deal, with Season 1 and its Battle Pass a close second – although the changes to character hitboxes for Gibraltar, Caustic, and Pathfinder to “better align with their shapes” was probably the fix that was most welcomed by the community. Hopefully the removal of Bunker’s notorious camping spot will be just as welcomed.